Human evolutionary ideals have evolved into DIRECTED EVOLUTION – remaking man in satan’s image. IMAGINE THIS: H+ Version 2.1 has just been released. People are once again standing in line for over a week just to be first in line for the latest version. CNN and Fox News are showing 24/7 news reports of fights in the lines and people passing out because they haven’t eaten or drank water for a few days. The video cuts to images of activists demanding that Congress provide rights for everyone to have equity in access: The government must provide funding for everyone to receive the latest human-augmentation implant upgrades. There is a good reason for the intense interest and fervor over the latest release. It is said that Version 2.1 fixed all of the bugs with people not being able to run more than three hours without crashing and/or getting visual – errors. Those errors caused people to become disoriented when the system rebooted. There was also the problem with voice commands that caused the visuals to turn on and block your view while driving down the freeway. This caused many people to be killed in horrific accidents, because they were staring at a Virtual Reality screen instead of the actual road. And they didn’t know it until they ran off of the road or crashed into another vehicle. While governments cannot pass laws fast enough to keep up with the pace of technological advances – they have passed laws granting prison inmates the right to receive their own, albeit limited, augmentation implants. The government decided that it would pacify prison inmates if they simply gave them the latest implant to pass-by the years of incarceration. Technology developers were very appreciative of the fact that inmates could also serve as test-subjects for any new release updates that could be potentially dangerous for the general public. If you want to better understand how all of this is coming about, it might help to know about some of the proponents of transhumanism and our future POST-human world. A Google search for “Ray Kurzweil” will result in more information than you could possibly ever sift through. Ray currently leads Google’s research arm for artificial brain technologies, genetic augmentation and Triple Helix bio-tech. The ideals of directed evolution and changing the nature of life that includes genetically modifying all of mankind are all in the realm of “evil, mad scientists” – right? You may be surprised to find that there is a large Christian movement of leaders who advocate that it is our God given right to enhance ourselves. Christian Brugger is the Cardinal Stafford Professor of Christian Ethics at John Vianney Major Seminary in Denver, Colorado. He has a Ph.D in moral philosophy from Oxford and master’s degrees in philosophical and theological ethics from Seton Hall, Harvard, and Oxford Universities. Brugger has published over 200 articles in scholarly and popular periodicals and appeared on PBS covering numerous topics in ethics. Dr. Brugger believes that it is God’s plan and our calling to enable ourselves to live forever by our technological knowledge. We will have eternal life by “directed evolution”. It is humankind’s destiny and a basic human right to correct errors in our design. You might ask, “How could anyone believe that getting a technology enhancement to their body or mind is a human right?” – Have you heard the term “Universal Health Care”? One of the tenets of universal health care is that access to affordable health-care is a basic human right. 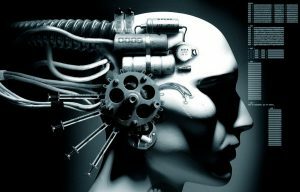 When our physical and/or mental health is able to be corrected, managed and monitored by technological enhancements to our body, whether DNA modifications, replacement limbs, enhanced body functions, regrown and replaced organs or ENTIRE BODY REPLACEMENTS– human augmentation will be touted as a basic human right. There are Christian based schools and Universities that are encouraging new students to go into fields of study that include BIO-TECH and Genetic and synthetic life engineering – emphasizing that Christians should lead in the efforts that encompass Transhuman and human augmentation efforts. All of the necessary components are being assembled: Bio-Tech to enable cellular modification at the genetic and molecular level, a vast and pervasive communications network to enable remote monitoring and control of such modifications, powerful tools like CRISPR that simplify the procedures (https://www.wired.com/2015/07/crispr-dna-editing-2/) , changes to our educational systems to teach the proper skills and a drafted set of moral guidelines are all coming together to create a world where you truly can become anything that you desire. And to some, that includes the idea of being a god! According to Physicist Richard Seed – we will – by our incredible knowledge and abilities – BECOME GODS. Mr. Seed also states that anyone that tries to stop him from becoming a god, he will go to war against them. How apropos – when you think about what Genesis 3:15 states about “seed”. There are many Christians speaking out against the technological avalanche heading our way. There is a terrific Pastor turned researcher named Tom Horn who has been publishing books and videos for decades against the next age of “corrupted flesh” (Genesis 6 – the days of Noah). L.A. Marzulli is another. On YouTube there is a channel called NICHOLSON1968 who does excellent work explaining what this is all about. Also a channel called FACE LIKE THE SUN is an excellent resource. I would encourage you to check out these guys’s work. 2045: A New Era for Humanity.